The available players went through their paces at the Ciutat Esportiva to continue preparing for Sunday's Catalan derby versus Girona at Camp Nou. GET TICKETS! Sergi Samper received the all clear from the Club's medical staff on Friday following training. The midfielder picked up an ankle injury on 22 August after missing the US Tour with a knee problem. 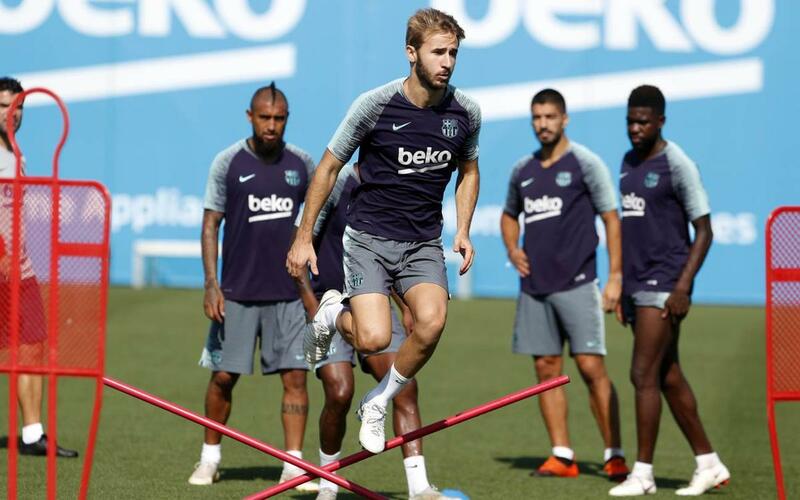 After a rest day, the squad returned to work on Thursday following their Champions League win in midweek over PSV Eindhoven in their first fixture in Group B. The players took part in a session at the Ciutat Esportiva with Brazilian midfielder Arthur training apart. The next training session will be on Saturday at 6.00pm CEST ahead of the visit of Girona to Camp Nou on Sunday and the workout will be preceded by a press conference with coach Ernesto Valverde.